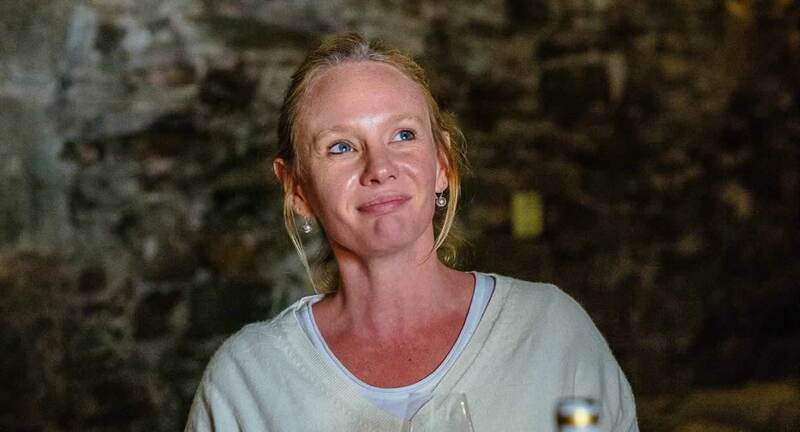 In charge of the Château du Coing wine estate is a female dream-team that showcases the best of their Muscadet terroir to produce a high-quality wine and exciting wine tourism attraction in the heart of the Nantes wine region. At Château du Coing, wine production is a family affair and one in which women have fought hard to carve out a role. Aurore, holder of a degree in sales, marketing and oenology, came to work in the vineyard alongside her mother in 2011. The women have complementary skills, and this has been the key to their success. Aurore is passionate about her terroir, champions sustainable growing and takes an increasingly organic approach. On the 75 hectares exclusively set aside for Muscadet grows another grape variety that is unique to the Nantes wine region, and grown nowhere else in the world, and of which the winemaker is particularly proud: Melon de Bourgogne. Aurore is also points out that their wines are left on the lees, a method discovered several centuries ago by local winemakers, and one that enhances the wine’s mouthfeel, adds complexity and increases the wine’s ageing potential. Their wine estate is as renowned for its classic Muscadets as it is for its 20-year-old vintages and crus communaux. The estate’s wines are the perfect match for local dishes, and regional restaurants are past masters at pairing the region’s produce and wines. The two winemakers are passionate about viticulture and enjoy sharing their knowledge, passion and produce with visitors. The estate is perfectly situated, surrounded by the Sèvre and Maine – two rivers that lend the AOC its unique characteristics – and by architecture typical of the Nantes region. Aurore likes to remind visitors that because of the region’s diverse terroirs, there is more than one type of Muscadet. She is also keen to restore Gros Plant to its former glory, a lively white wine with fresh lemony notes that pairs well with produce from the not too distant Atlantic Ocean.